Follow these easy steps to block people who keep messaging you via Facebook chat. Click on the Friend List, located on the top, left of the chat window. In empty field write ‘Blocked’ and then hit enter button. Now simply drag and drop friends to an empty dotted field you have just created, displaying on the top. 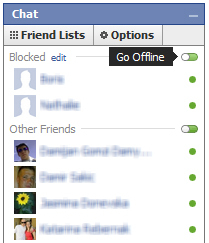 Once you have moved all people you would like to block in an upper window, click go offline button. 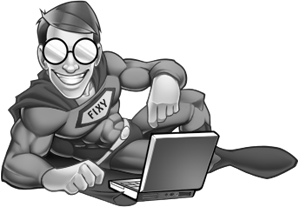 Your online status is now hidden and your friends have been now blocked from the Facebook chat, and can no longer see when you are online or either offline. i’ll be invisible for that friend vhich i blocked or ? I didn’t know that you can block people on the facebook chat. Thank you for sharing this!